Thinking of buying a residential condo soon? Properties inside townships are looking to be a better investment than those outside of it, according to real estate consultancy Colliers International Philippines. 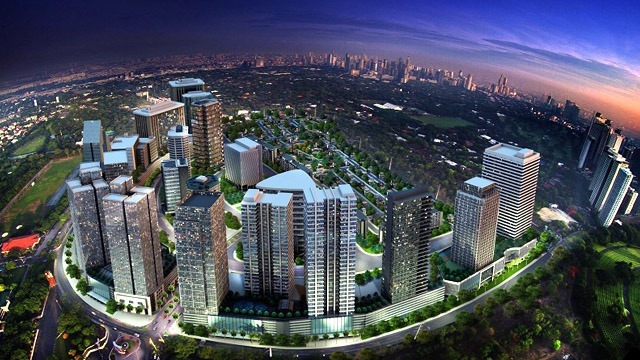 In a report published last June 29, Shifting Orbits: The Rise of Satellite Communities, Colliers looked into the prospects of master-planned townships owned by large real estate developers around Metro Manila. These townships integrate residential and office properties with retail, hotel, institutional and entertainment developments within one community. As well, Colliers described these townships as the property developers’ response to the poor living conditions in Metro Manila. The report pointed to “worsening traffic, flooding and poor mass transportation systems” as some of the major issues that residents would avoid when living in a master-planned community. Bondoc attributed this increased demand to “improved living and working conditions” within these communities, which align with the expectations of critical markets such as BPO tenants, middle-class families and millennial workers. “They now prefer to live, work, dine and shop in a single community,” described Bondoc. “More residential end-users and investors as well as office occupants and buyers will gravitate toward township projects,” added Bondoc. “And this will push capital values up.” In a report published May 27, Colliers observed a slow down in price increases of condo units within the major CBDs. It expected rents to fall because of additional supply coming from the fringes of these CBDs. Among the 10 townships included in the Colliers report are Megaworld’s Eastwood City in Quezon City, Rockwell Land’s Rockwell Center in Makati and Century Properties’ Century City in Makati. All of these master-planned communities have multiple residential and office developments that are augmented by hotels, malls and institutional facilities. Colliers estimates that 15,300 residential condominium units have already been built in Eastwood City, Rockwell Center and Century City. It forecasts that 15,700 more will be built in the next few years, mostly coming from new township projects such as Capital Commons, Vertis North, Arca South, Circuit Makati, Aseana City and Bridgetowne. “In these communities, integration prevails over seclusion,” said Bondoc. What Are The Top Local Food Industry Trends?